The International Livestock Research Institute (ILRI), jointly with the University of Edinburgh (UK) and the Kenya Medical Research Institute, with additional support from the Kenyan Department of Veterinary Services, operates a laboratory in the town of Busia, in Western Kenya. It is here that the People, Animals and their Zoonoses (PAZ) project operates a joint human and animal diagnostic laboratory that receives cattle and pig samples from many locations around the Western Kenya region. Once these samples are received, a number of tests are carried out; some of these tests include kato-katz, McMaster, sedimentation, direct Baerman for faecal samples. Capillary tubes, thin and thick blood smears are processed and examined for haemoparasites, serum is used for diagnosis of brucellosis and stimulation of cells for Mycobacterium bovis tuberculosis before they are sent to the ILRI Nairobi laboratory for a second level of diagnostic testing. Results from these samples have shown that there is a range of pathogens in circulation among the livestock population in the area. There is a co-infection of parasites in most samples. Various species of worm eggs have been identified on faecal material, including ascaris, trichuris, fasciola, coccidia, strongyles, strongloides, toxocara and monieza. The egg count has been found to be high on pig samples as compared to cattle. Blood parasites are identified using stained blood smears and capillary tubes, different species of trypanosomes have been identified. Trypanosome brucei being the species identified in pigs while Trypanosoma vivax, T. congolese and T. theileri are among the species identified on cattle, other parasites detected are Anaplasma marginale, Microfilaria and East coast fever which seems to be the most circulating parasite in the area. The livestock examined so far have a range of both hemoglobin and packed cell volume. 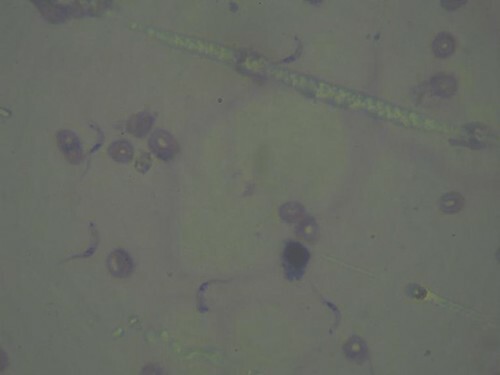 Although there have been considerable cases of infection commonly by Trypanosomes and in some rare cases Microfilaria species of which the packed cell volume and haemoglobin of this animals remained within the normal range, there have also been cases where the packed cell volume and hemoglobin have fallen below the normal range but where no haemoparasites were detected. Positive cases of brucellosis have been detected in animals using a lateral flow assay test. This is interesting as brucellosis has been one of the diseases that have been under reported in the western region. Confirmation of the presence of zoonotic infections and differential diagnostic work has been one of the significant achievements of the laboratory. Results from the diagnostic tests are used to give feedback to farmers, in the form of providing treatment and advice. Residents in the study area are greatly exposed and affected by diseases linked to animals and the different laboratory tests are important in helping us to come up with proper diagnostics and interventions for these diseases so as to protect the health of both animals and humans. 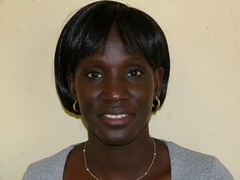 Alice Kiyonga is a laboratory technician with the PAZ project in Busia. Her interests are in understanding the role of zoonotic diseases in rural farming settings, and she has a personal interest in pastoralist systems.